BackGate 104 The LandReport | S P R I N G 2 0 1 6 LANDREPORT.COM Hummingbird Nest Ranch Finally Sells O nly a few years have passed since Hummingbird Nest Ranch was being fast-tracked to become Simi Valley's first five-star resort, complete with a 105-room hotel, 59 single, duplex, and triplex buildings featuring 98 casitas, restaurants, swimming pools, conference center, surgical center, and convention center in a converted horse barn. Located less than an hour from downtown Los Angeles, the 123-acre parcel was (and still is) considered one of the most desirable larger tracts in the region and is almost completely surrounded by public parkland that will never be developed. But the market did not respond favorably when owner David Saperstein put the property on the market for $75 million in 2007. 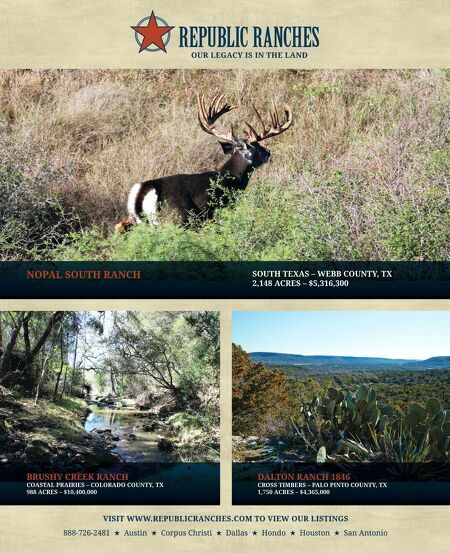 Seven years later, he relisted the ranch for $49.5 million, a price that included extensive approvals from the City of Simi Valley. Late last year, it sold for $33 million to Kieu Hoang, the Viet- namese-born head of Agoura Hills-based RAAS Nutritionals. 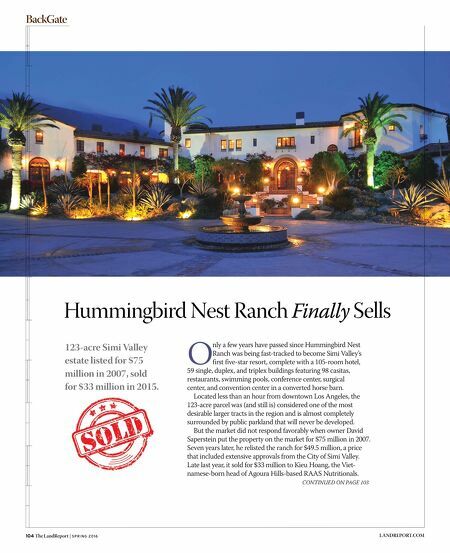 CONTINUED ON PAGE 103 123-acre Simi Valley estate listed for $75 million in 2007, sold for $33 million in 2015.